James T. Burghardt - Mediator based in Denver, Colorado. If you’d like a list of available dates for Jim Burghardt, please submit a request below. Jim mediates complex disputes that otherwise would end up in full-scale litigation. He focuses on business/commercial, real estate, and business bankruptcy-related matters, and has over 35 years of experience in these areas of law. As an attorney or a mediator, he has played an active role in most of the major business bankruptcies and related cases in Colorado over more than three decades. He is willing to travel as a mediator, and has mediated disputes in several other states including Utah, California, and New York. Jim thrives on multi-party dispute resolution and has a tenacious commitment to finding negotiated solutions to difficult business problems. 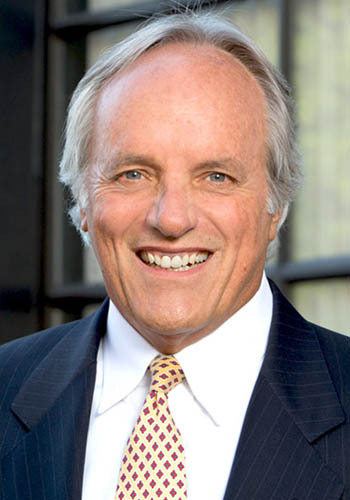 He has completed advanced mediation and negotiation courses at Harvard, as well as other mediation programs. From 2007-2010, Jim participated in the development of a mediation pilot program in the U.S. Bankruptcy Court for the District of Colorado. He was also a member of four successive Bankruptcy Judgeship Merit Selection Panels appointed by the U.S. District Court and the Tenth Circuit Court of Appeals to recommend candidates to fill vacancies on the Colorado Bankruptcy Court bench.